Published September 5, 2013 at 1526 × 1013 in Brownz Motorcycles. I sold the Honda XL350 so I could by this one. It had about 800 miles on it – paid $900. Had it 5 days and it was stolen from Malibu Beach at noon. 2.5 years later the police recovered it with only 900 miles on and I got it back. I kept it for 4 months and sold before going off to Uruguay for 2 years on a mission for my church. 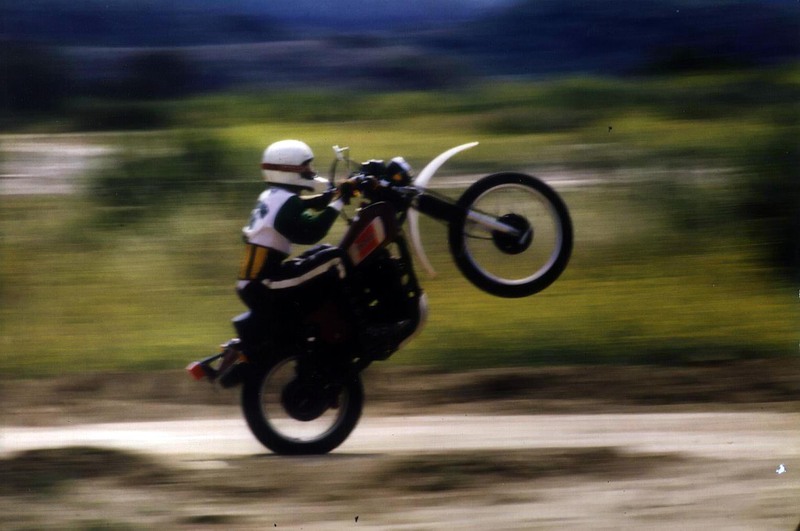 Yep, that’s me showing off – this was a great wheelie bike.